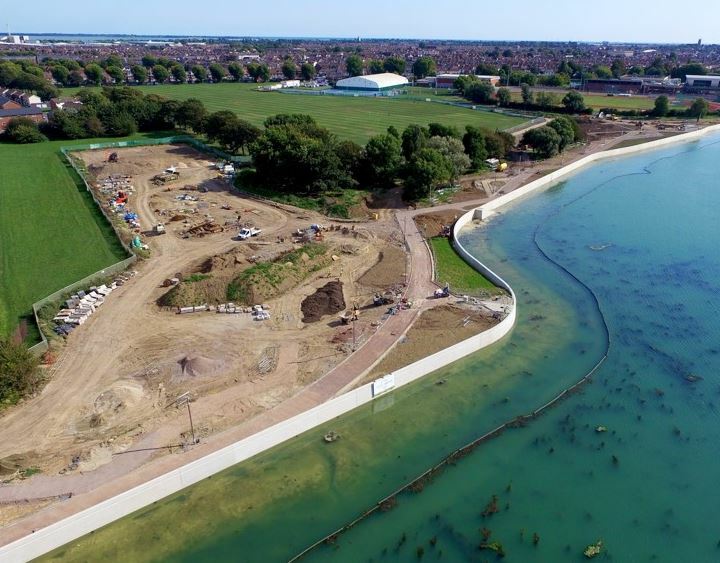 Plans to provide new flood defenses for the Southsea Seafront continue to progress with a tender for detailed engineering designs now underway, Southsea Coastal Scheme said in its latest release. “The successful consultant will further refine and add detail to the coastal defense principal designs so construction can begin in 2020,” according to the announcement. The tender to deliver detailed engineering designs has been communicated to seven consultancies, all of whom sit on the Flood and Coastal Erosion Risk Management Consultancy Services Framework. This framework was set up in 2016 to ensure greater consistency from a list of multi-disciplined consultancies that have both the expertise and resources to undertake a project of this scale. The procurement process opened on 3 April with bids required for review by mid-May. The selected designer will then be appointed in June 2019, Southsea Coastal Scheme said. The scheme, which will span 4.5km of Solent coastline from Old Portsmouth to Eastney, will protect more than 8,000 properties and 700 businesses from the risk of coastal flooding. See Dredging Today . . .